Residential green pest control means the use of organic products as well as controls that are environmentally friendly to keep intrusions minimal. The organic products used in green pest control in residential areas are made from plant extracts and oils, making them naturally effective and safe for use. If you value safety and effective results in pest control, then organic pest control is the way to go. Many green pest control products are made using extracts and oils such as peppermint, wintergreen and rosemary. They therefore come in low or no odors at all and have low persistence as far as the environment is concerned thereby making them ecologically friendly compared to insecticides. You and your family can enjoy a pleasant home environment, even when pest control services are going on. Pest control is best left to the professionals. Green pest control services provided by TORO Pest Management, are affordable and they will offer you excellent results at the end of the day. Our professionals are usually trained in insect biology and behaviors as well as other pests. This puts them in a better position to understand how to go about the process of controlling pests and keeping them at bay using Integrated Pest Management protocols. They also know better when to use the organic products and how to use the controls. They don’t do any guess work with green pest management; hence you know you can fully rely on them. The process begins with a complete inspection of your interiors and exterior. The inspection is what puts the technicians in a better position to determine the best natural pest control solutions for your areas and for the kind of pests you have. Some of the services you can expect from your provider include perimeter protection done through mulch areas, turf and soil outside but against the home. Treatment of entry points, window casings, under eaves and door thresholds is also done to keep your home well protected from the pests waiting to make their way into your home. Your garbage area and garage will receive complete treatment, while the bathrooms, utility rooms and the kitchen will receive crevice and crack treatment injections to keep them free from pests. Our professionals leave no stone unturned and will go to the extent of treating the areas around and under your home appliances such as washers, refrigerators, dryers and dishwashers. Wall voids are also treated. If you are working with a good residential green pest control company, you might also enjoy the installation of insect monitors to help with any future services. To get the best green pest control services, you simply need to make sure you choose a good experienced, qualified and educated service provider like TORO Pest Management services. TORO home green home protection services are some of the best you can find. You even have the liberty of scheduling the services besides enjoying natural pest control solutions for your home. Perimeter protection treatment of soil, turf or mulch areas outside against the home. Treatment around & under appliances – dishwashers, refrigerators, washers, and dryers. The above services are combined with the most effective baiting methods available. Need us there early or late? We’ll work together to set our service visits on a schedule that works best for you. Use of baits and gels where bugs live and hide will keep your home free of pests and safe for children and pets without messy spraying or odors. Convenient, personalized service is our priority when it comes to controlling pests in your home. Cash, Check, Major Credit Cards and Pay Online. 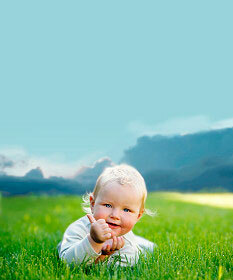 Ask us about our Green Home Protection Program, it is the best way to protect your family, your home and your property. Let us provide you with a more enjoyable living environment for everyone.